For exceptional hair and beauty services that will leave you looking and feeling great, come in to JP’s Total Image! We specialize in hair services including styling, coloring, and cuts, as well as all your other beauty needs. For your total hair and beauty care, call JP’s Total Image today! For nearly 40 years, JP’s Total Image has been providing Richmond residents with superior hair care and beauty services for the whole family. From cuts and coloring to manicures and body waxing, we offer everything you need to look your best. We are the number one rated hair salon in Richmond, MO with a flair for style and a dedication to giving every customer superior hair care and beauty services. We believe that a great look comes from listening to our customers and working with them to create an overall style that meets their vision and lifestyle. If you’ve been looking for a professional beauty salon in Richmond, MO, you’ve come to the right place. We’ve been locally owned and operated for nearly 40 years. 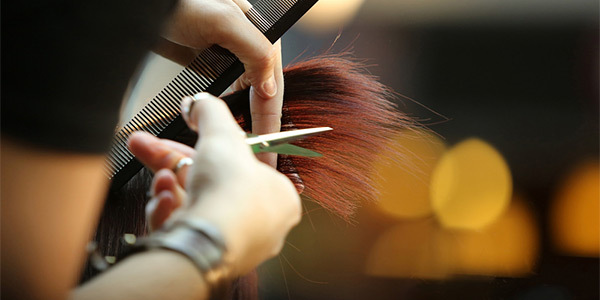 We have licensed barbers, cosmetologists and aestheticians on staff. We work with the best name-brand products in the business. We offer a full range of services from haircuts to full bridal makeovers. All of our hair and beauty services are priced to please.